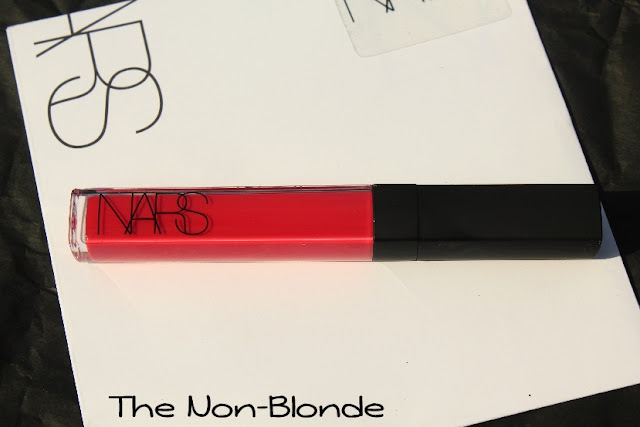 Paris Follies is another item from NARS Summer 2013 collection (available starting April 15th, sent to me for review in advance). 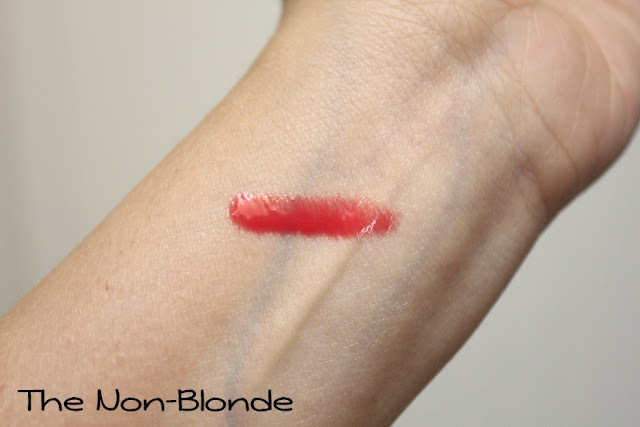 The Larger Than Life lip gloss joins the permanent line which is a very good thing: it's a gorgeous color (NARS calls it "a pink flamingo", I call it red coral). The formula of Larger Than Life glosses is significantly better than the regular NARS lip gloss-- it's more hydrating, plumping and comfortable to wear while completely devoid of the unpleasant plastic smell of the regular glosses. I'm thrilled whenever NARS adds another color to this range (Paris Follies will be the 18th one) because I can't get enough of them (I'm on my second tube of 413 Bleecker). A nice feature of Paris Follies is that the warm coral shade neutralizes the natural purple/rose color of my lips that usually dominates my look. 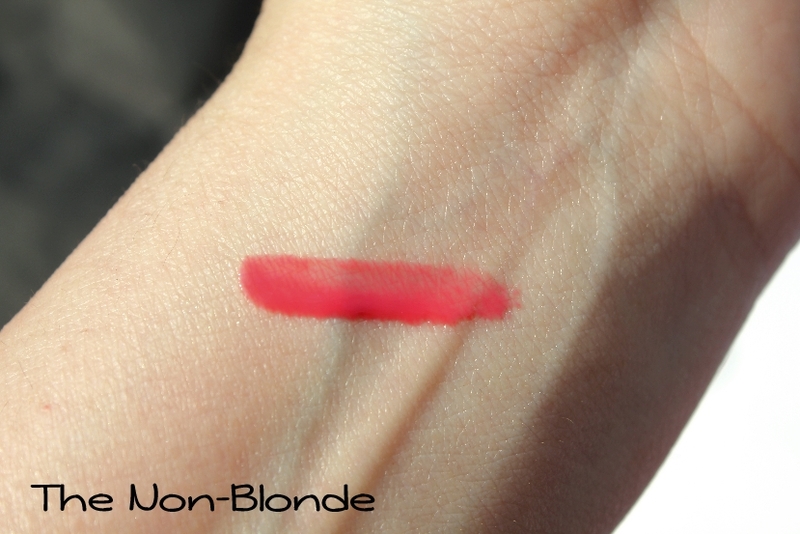 Thus, even though this is a gloss and only gives a semi-opaque coverage, it's high impact enough to make a difference. The end result is light yet noticeable, and very summery. I was brave enough to try Paris Follies with NARS Euphrate eye shadow (and Barrow Street eyeliner). 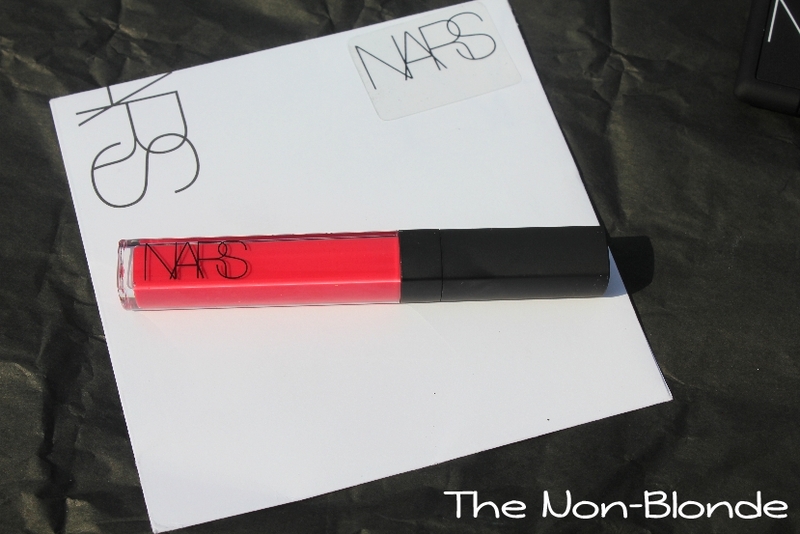 It might not be too office friendly, but it's an incredibly pretty combination that made me get what Francois Nars meant when he said that his Summer 2013 collection was inspired by the 1970s. Of course, this Larger Than Life lip gloss is also fabulous with any neutral, beige and taupe look. It adds just a little hint of summer and looks very flattering. NARS Paris Follies Larger Than Life Lip Gloss For Summer 2013 ($26) will be available starting April 15th on narscosmetics.com. The product for this review was sent to me by PR. Hi Gaia, what a gorgeous bright pink! This is gorgeous! I was hoping to find it at the mall today even though the collection isn't out yet. I also prefer the Larger Than Life gloss line to the regular glosses. 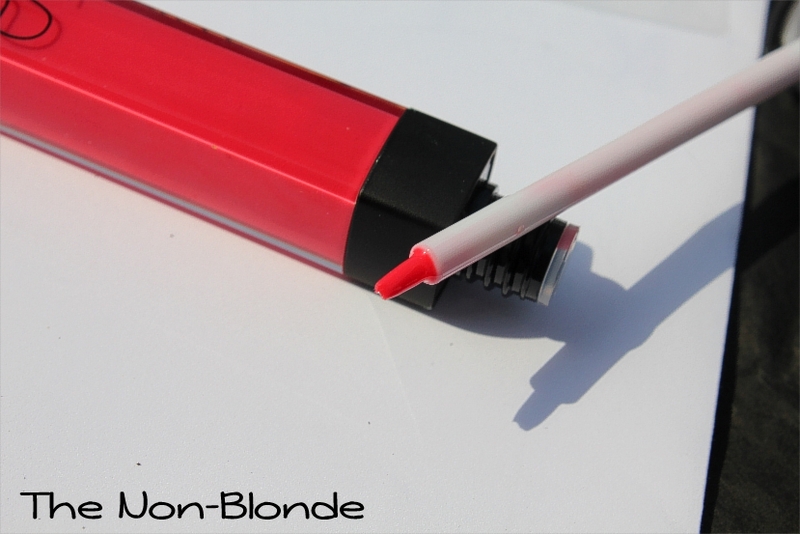 I know that some people don't care for the tiny applicator, but I myself like it. I love that you've switched to larger pictures; I could click on them before, but now I don't need to, which is really nice. Upgrade, definitely! And the gloss is gorgeous, too!